A rare find in today’s world, this Isleworth home captures the romance of Europe, the elegance of time-honored designs and the exquisite grandeur of an ancient palace – with exquisite views of Isleworth’s 7th fairway and a sparkling lake in the background on a 1.6 Acre site. 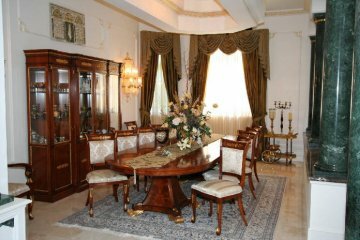 This Mediterranean style home boasts olde world grandeur the moment you drive up with a formal “Tea Room” and “Drawing Room”. 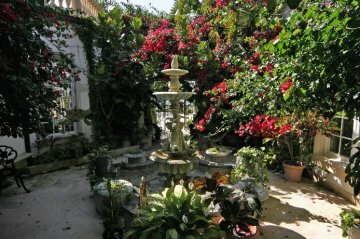 The circular drive leads to a curved exterior staircase banded with a Roman balustrade and ascending to a tiered fountain entry. 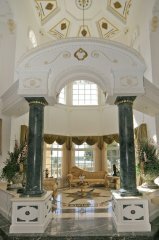 An elaborate iron cathedral-style door opens to a grand two-story marble Foyer with gleaming marble floors under a rotunda ceiling and sparkling chandelier. 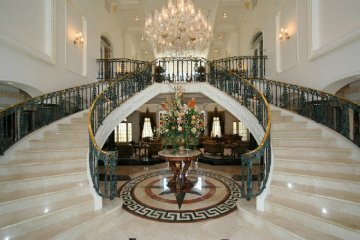 Dramatic twin staircases gracefully curved ascend to an open second-floor balcony frame the Foyer. This finely crafted 11,360 square foot interior (heated and cooled) offers many beautiful, detailed architectural elements throughout. 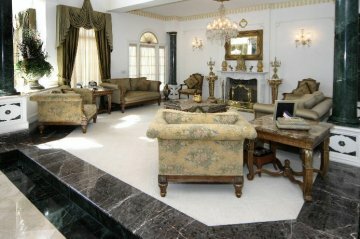 The spacious rooms beyond the Foyer are defined by columned entries and consist of a media area, formal drawing room, sitting area overlooking the lake, in addition to a banquet size formal Dining Room. 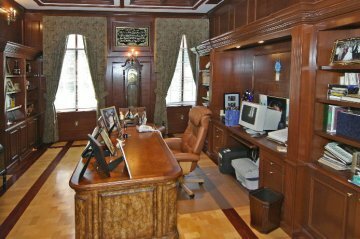 A handsome 20’ Study replete with Mahogany custom office cabinetry is well suited to a work-at-home environment. 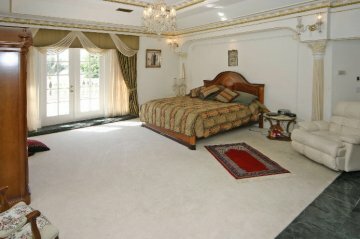 There are 7 Bedroom Suites. The 33’ Master Suite is extremely large with a double-sided Fireplace separating the sleeping area from the sitting area which has double doors opening to a lakefront balcony. 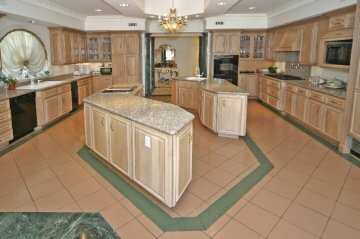 Everyone will just love this 33’ Kitchen with “miles” of granite atop custom cabinets. 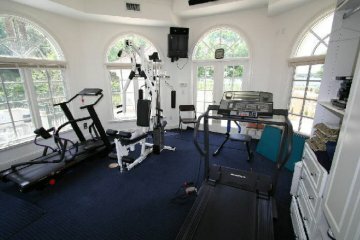 Other amenities include a poolside Cabana with Sauna, lakefront pool and spa and an Exercise Studio. A very large apartment with private entrance is above the 3+ car Garage and is complete with Kitchen, full Bath, Bedroom and Living/Dining Area. Boat storage is available at the launch area into the famed Butler Chain of Lakes. Imagine, golfing, water skiing, boating, tennis in this country club lifestyle all within 12 minutes of Disney and all attractions. Only 20 minutes to Orlando International Airport. 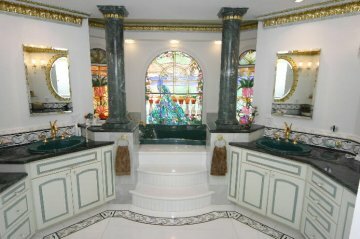 $5,575,000.